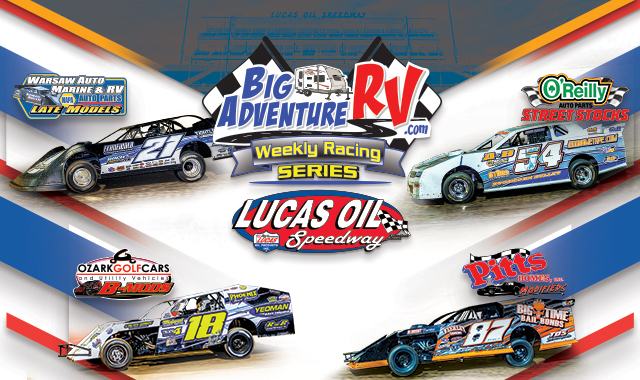 OnMedia/DISH/DirectTV presents round #2 of the Lucas Oil Speedway Big Adventure RV Weekly Racing Series plus it's the only $uper Saver Special Night of the 2019 as (4) Admissions, (4) Hot Dogs, and (4) 20oz. Coke Drinks are just $30foe all fans arriving before 5:30pm. Classes in action includethe Warsaw Auto Marine and RV ULMA Late Models, the Pitts Homes USRA Modifieds, the O'reilly Auto Parts Street Stocks, and the Ozark Golf Cars USRA b-Mods. The Ozark Golf Cars USRA B-Mods will be the featured class of the evening running a Special 25 lap, $750 to win Main Event. In the event of inclement weather we will post on our website, on our answering machine, and on our social media prior to races. 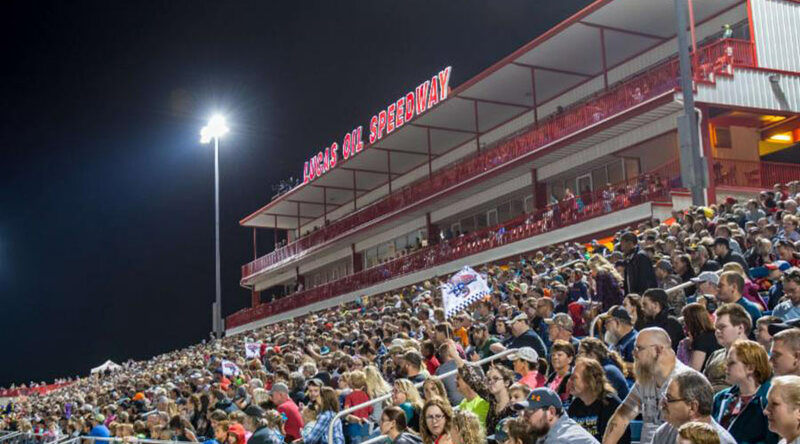 In the event that racing has started, and in the opinion of the track officials, the inclement weather is sufficient to cancel the remainder of the racing events the show will be considered a complete show if we have reached intermission or the heat races are complete. If the halfway point in the program has not been completed, rain checks (tickets to races) will be issued good for an upcoming race. NO REFUNDS will be given. If you purchased a pit pass, your armband is your raincheck and your responsibility. we are not responsible for loss or theft of your rain check. If you chose to use your rain check at an event with higher admission you will have to pay the difference.